All wildlife needs the basics of food, water, cover and places to raise their young. A wildlife habitat does not mean you have to change your backyard into a conservation area fit for alligators. 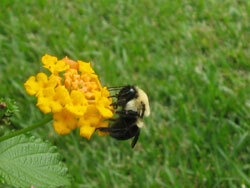 But by following some simple steps, you can make your yard inviting to butterflies, bees, even hummingbirds. 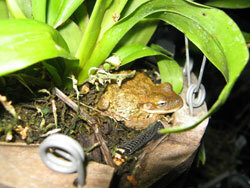 (Hiding places are important, think humans, predators, weather. 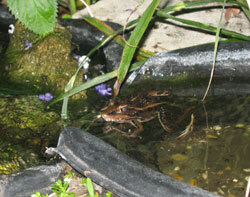 Pond for tadpoles, dragonfly larvae, etc. Use mulch – melaleuca or pine bark chips, don’t use cypress mulch! Bald cypresses are being harvested just for mulch! 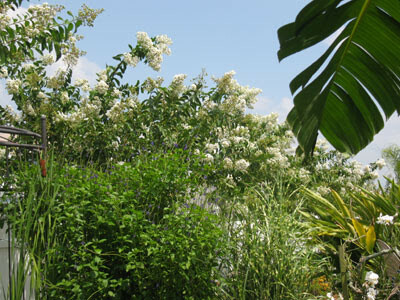 Minimize outdoor water use by planting native and drought-tolerant plants. Be aware of the chemicals you are using, don’t use ‘weed and feed’ but rather do spot treatment. Opt for neem oil to fight pests on your plants. Educate yourself before killing bugs, they may be the useful kind! 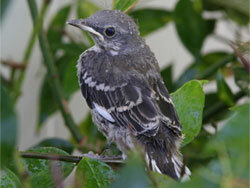 Go to http://www.nwf.org/backyard/ Follow the steps on that website and have your yard certified. 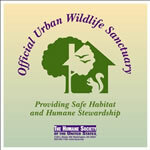 Order and post your yard sign to show your commitment to wildlife conservation and the environment. Our 1/4 acre corner lot is a certified Backyard Wildlife Habitat with the National Wildlife Federation since 2006.
and finally, it was certified as Butterfly Sanctuary Nr. 521 with the North American Butterfly Association in 2011.